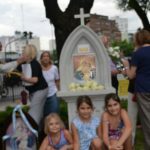 During the final days of 2016 in the middle of Buenos Aires, a wayside shrine was blessed bearing the name, Mother of Mercy, which is one of Pope Francis’ favorite names for Mary. 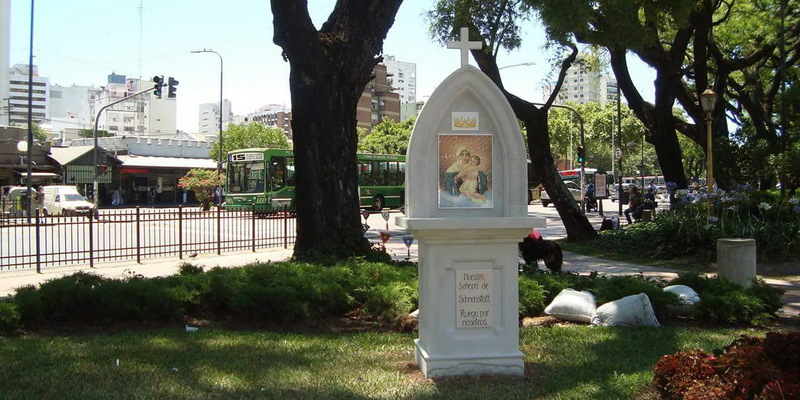 Supposedly, this wayside shrine is the youngest one in the world, and it is already a part of the Original Pilgrim Mother’s Belmonte mosaic. 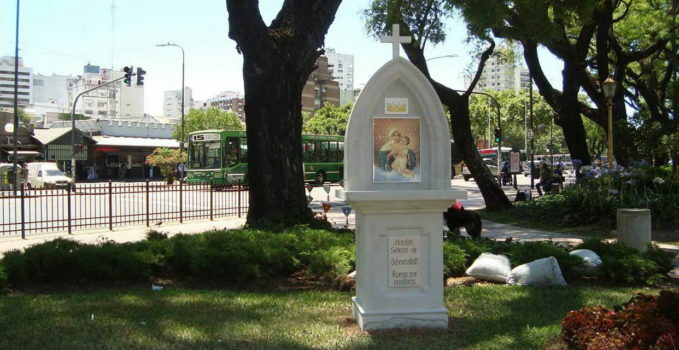 On Friday, 1 April 2016, at 10:00 a.m., the conquest of a wayside shrine began with the prayer of the Holy Rosary so that our Mother would establish herself on the corner. She chose Juramento and Virrey Vértiz Ave., in Barrancas de Belgrano. 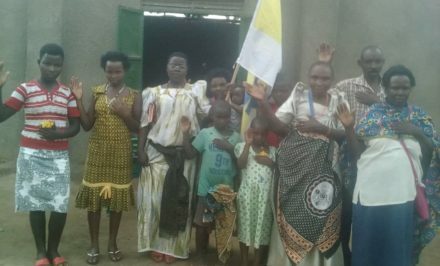 A group of missionaries gathered, along with those who participate in the Schoenstatt Rosary Campaign and Pirovano Hospital’s Mary’s Volunteers. 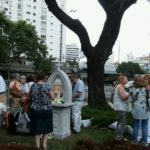 We decided and were convinced that the Blessed Mother chose this busy high traffic area to shower many graces and blessings on everyone, including those who do not believe in God. 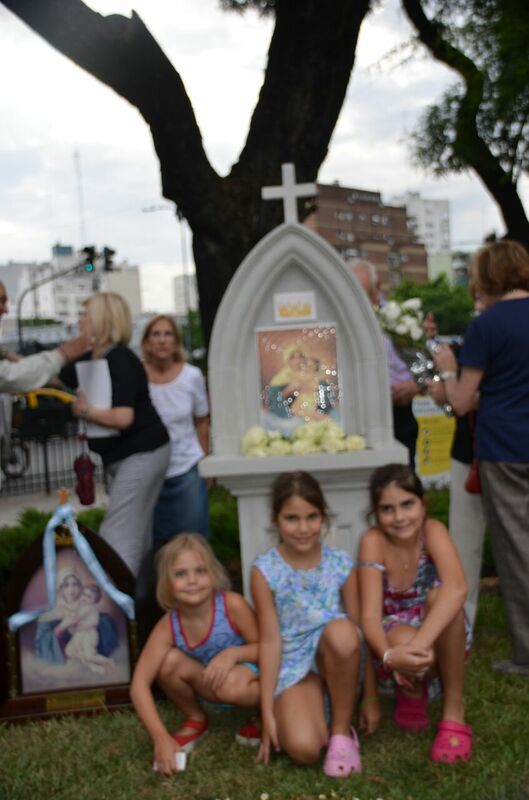 That morning after praying, we buried little medals in the vases filled with flowers, we sprinkled them with holy water, and we distributed holy cards of the Blessed Mother to those who passed. This is how we started. Barrancas de Belgrano is a place where a train station and a bus station with five lines along with eleven other lines circulating through these streets converge. There is a large park where many relax and gather to drink mate [tea], read, or approach a gazebo, where many cultural events are held. 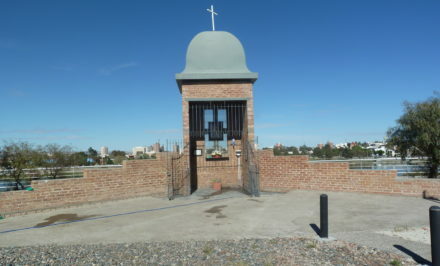 For example, this is where bus 113 begins its route that leads to Tabor Shrine on Echeverría street. 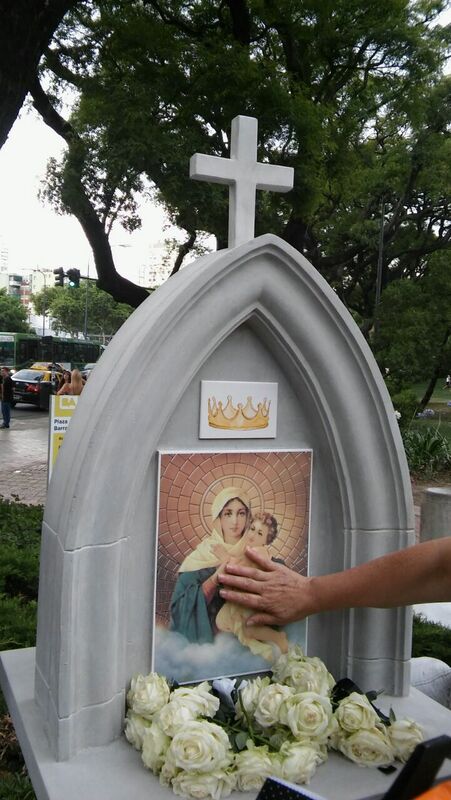 Thousands of people that the Blessed Mother wants to shelter pass by here. We contacted Fr. Juan Francisco de Estrada, the pastor of Immaculate Conception Parish, with jurisdiction in the area and with the Vicar Bishop Alejandro Giorgi. 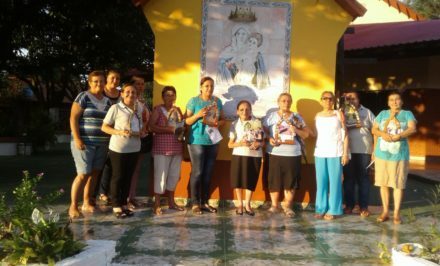 We obtained their permission with a letter, which we presented to the Community Leader of Development Center 13, along with the project and design of our Blessed Mother’s wayside shrine. Nothing prevented us from continuing to pray the Holy Rosary for the conquest: illness, bad weather in a very hard winter, or Emilia’s departure to the Father’s home. She was one of the volunteers, who most wanted to build the wayside shrine. She gave herself totally. 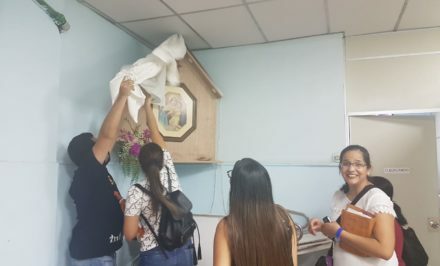 Every Friday we took our poster with the Blessed Mother’s photo and more than once, we had to return to get it because we forgot it in the vase. We always said that she definitely wanted to stay in this place. Those who joined in praying the Rosary told us to leave the poster. A doctor, who passed by there every Friday, asked for prayers for a colleague who was beginning chemotherapy treatment. He recorded our prayers on his cell phone to encourage and give his colleague strength to persevere. We gathered coin after coin until we could buy the majolica, design the project, and begin construction. The Providential Father knew that this great ideal was taken seriously, and He took charge to complete its cost. 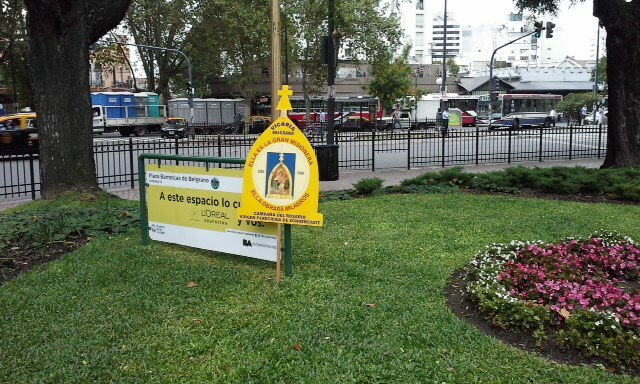 For the blessing of the foundation stone, we obtained some flagstones at Florencio Varela that were used to cover the altar of the God the Father Church, which will celebrate its 25th anniversary on 20 January 2017. We were convinced that it could not be just any stone. What better than to obtain a stone from the Father Shrine of our National Shrine!! Fr. 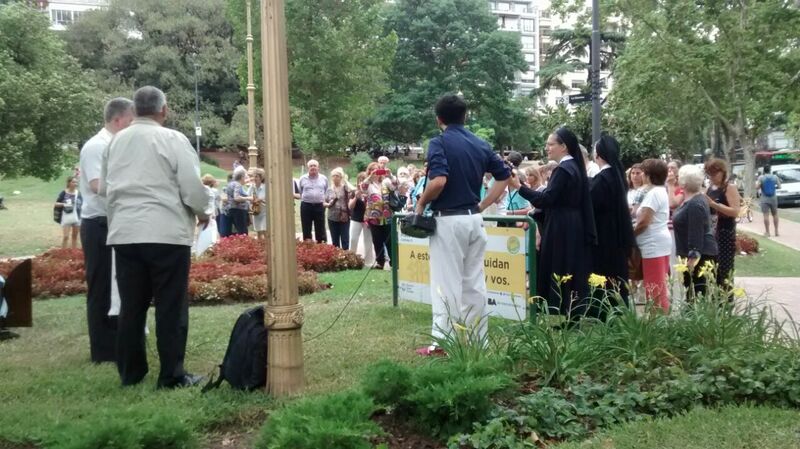 Adolfo Losada blessed the flagstones previously at Tabor Shrine, Belgrano. After eight months of conquest, the long awaited day arrived. 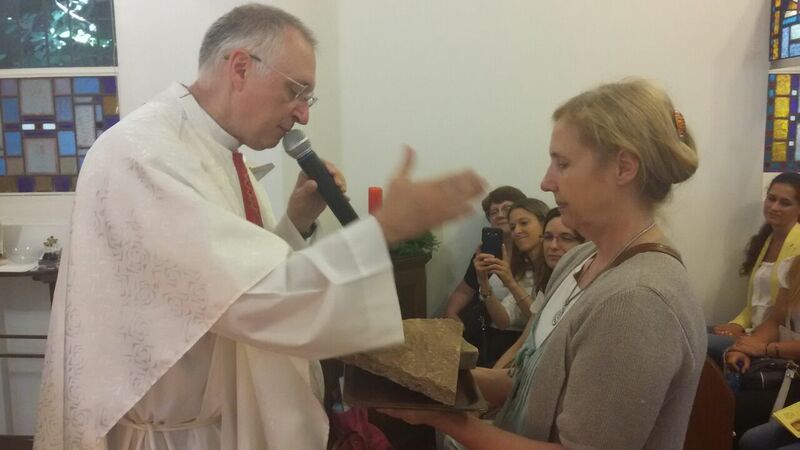 The blessing of the stone was Saturday, 10 December. 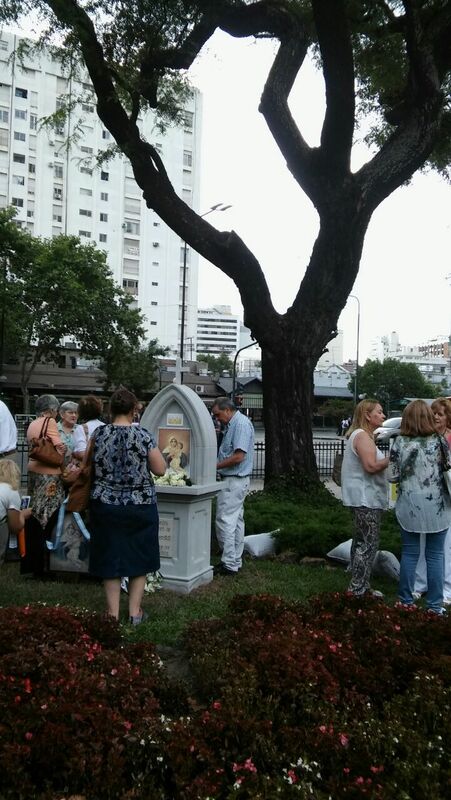 A missionary of the Campaign dug the hole where the stone was placed along with a copy of the Blessed Mother’s promises and demands expressed in her first Covenant of Love. The names of the people who participated in the conquest and those of all the Branches, Works and Institutes of our family were on this copy. We did not forget anyone. 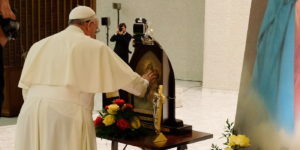 The blessing of our Mother’s throne was 22 December at 6:00 p.m. with Fr. Juan Francisco and Fr. Guillermo Carmona’s presence. We decided to name the wayside shrine, Mother of Mercy, since the Year of Mercy had ended recently, and Immaculate Conception Parish was a door of mercy. The souvenir holy cards had this prayer: “Mother of Mercy, with your Son, open our hearts to God the Father’s infinite love.” Something of the Father was in its foundation. Our tears recalled the difficulties, the encounters and disagreements, the sadness that we traveled on this road of conquest, but above all, they expressed the joy that our Mother is already in the place that she wanted and had chosen. 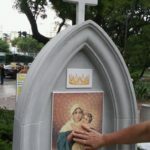 This young wayside shrine became a reality because we love her with all our hearts, and we live our Covenant with greater commitment and childlike confidence.